Installation view Karin Kneffel at Galerie Rüdiger Schöttle, 2016. 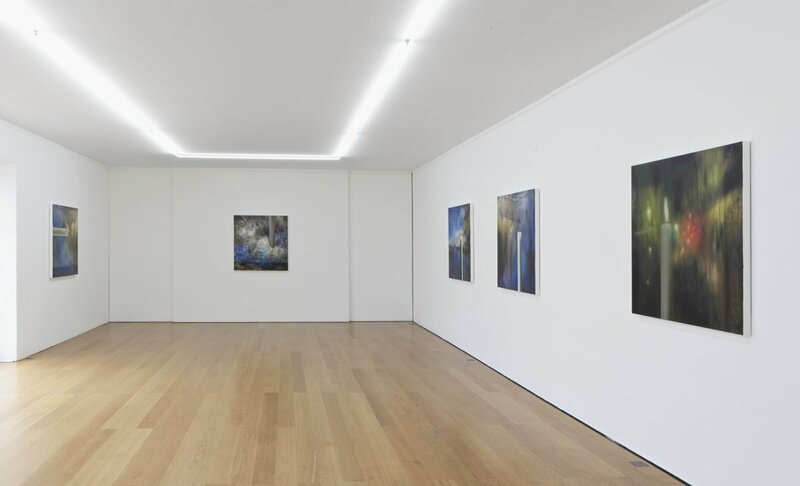 Galerie Rüdiger Schöttle presents the artist Karin Kneffel’s most recent work cycle in a comprehensive solo exhibition, showing small- and medium-format oil paintings. The thematic focus is on the reinterpretation of “Betty” (1968) and “Candle” (1982), key works by Kneffel’s colleague and former professor at the Kunstakademie Düsseldorf, Gerhard Richter. With these new works, Kneffel has created quotes of quotes. In its symbolism, Gerhard Richter’s “Candle” refers to Dutch vanitas still lifes from the sixteenth and seventeenth centuries, and “Betty”—with its figure whose back of the head is turned to the viewer—refers to the work of the most important German Romantic painter, Caspar David Friedrich. With her reinterpretations, Kneffel manages to temporally and socially recontextualize the artistic impulse. 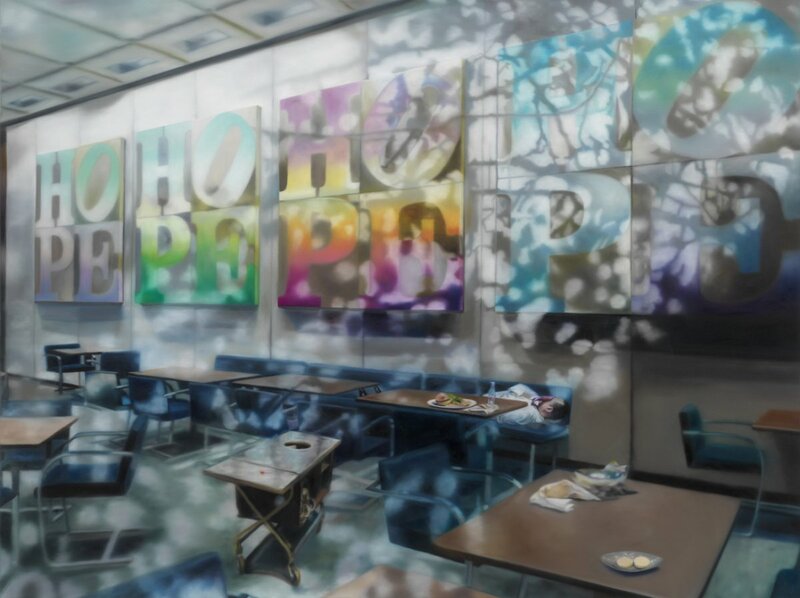 Transparent reflections, abstract color fields, and realistic depictions of condensed glass panes bearing traces of human presence and letting viewers experience “Betty” or “Candle” through them make the subjects oscillate between reality and fiction. The works evoke questions of the origin, history, and meaning of art per se. Karin Kneffel was born in Marl, Germany, in 1957. From 1981 to 1987, she studied at the Kunstakademie in Düsseldorf. She has been working as a professor at the Academy of Fine Arts in Munich since 2008. In 2015, her works were presented in two solo exhibitions: “Works on Paper” at the Kunsthalle Bremerhaven and “Case Studies” at the Käthe Kollwitz Museum in Cologne. 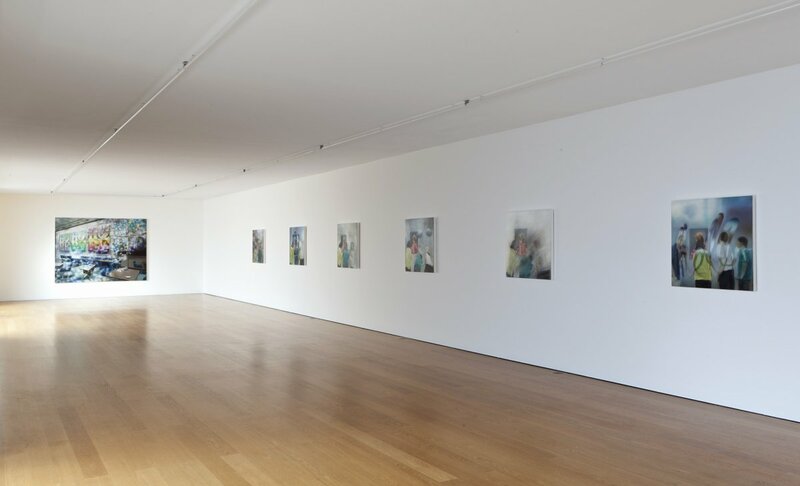 In 2014, the Museo de Arte Contemporáneo Gas Natural Fenosa in La Coruña, Spain, dedicated another solo exhibition to her. In the same year, she showed her work at the Barcelona Pavilion in Spain. She lives and works in Düsseldorf.